List your items for FREE and earn Bitcoin. Only 2.5% fee on sold items! 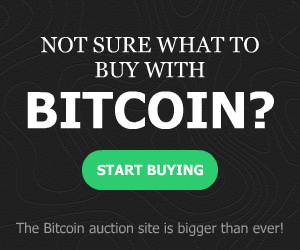 Buy or bid on items and get great deals for Bitcoin or Litecoin. Our secure escrow service lets you buy and sell with peace of mind. Bitify is based in Australia and offers a marketplace for Bitcoin and Litecoin enthusiasts. They offer a secure and safe platform for sellers without any charges and provides 30 days buyer protection and automatic escrow service for buyers who bid to buy the items for sale. Bitify was launched in September 2013 and still continued to grow reaching a 25,000 users in February 2015 without any support from investment or funding companies. Bitify.com is somewhat the Ebay of Bitcoin. They use auction system to sell items for bitcoins. They also offer escrow services. Escrow allows buyers to hold the bitcoins until the goods are delivered to them. Buyers have an option to use their escrow service at 1% fee. Sellers have 2.5 % fee on the total sale price of the item. Premium advertisements are at 1.5% of the total cost. You need to register an account and log in to use the website. How to get started with Bitify? How to buy stuffs at Bitify with your bitcoins? ◘ You can browse from numerous posted items for sale such as E-gift cards, software installers, online gaming accounts and more. If you are interested on some of the items posted, just click on them to view the details and click on Buy Now! button to purchase the item. ◘ Scroll down below the page and enter other details needed before clicking on Pay now button. Physical address is only requires if you are purchasing a physical item which requires shipping, otherwise not necessary. ◘ All sellers at Bitify are Escrow required, so do not confirm escrow service until you receive the item you purchased. How to sell your stuffs at Bitify.com? ◘ List the item you want to sell by typing all the details such your listing title, the location you are shipping it from and selling conditions you want to include in your listing. Escrow option is a must to all sellers. ◘ The third step lets you review the details of your listing before and publishing it for sale. Once everything is good for you, you can click on the Publish button. ◘ Your listing will then be live and ready for sale. If someone purchased you item, send the item to the buyer and once the item is received, the buyer will release the escrow service and Bitify will notify you once the payment is already sent to your bitcoin wallet. So if you have some stuffs you do not use out there and you think anyone can still use them, this is the perfect and easiest place you can go online to earn Bitcoins out of it. *Based on all the quality of information & bitcoin marketplace shops that’s out there! What Is Bitcoin Funding Team?